Do you have an interest in a career in football? Home » News » Do you have an interest in a career in football? CW827 Sports Coaching and Business Management and CW858 Sport Management and Coaching offer students a unique opportunity to develop as both a player and a coach while completing your degree. 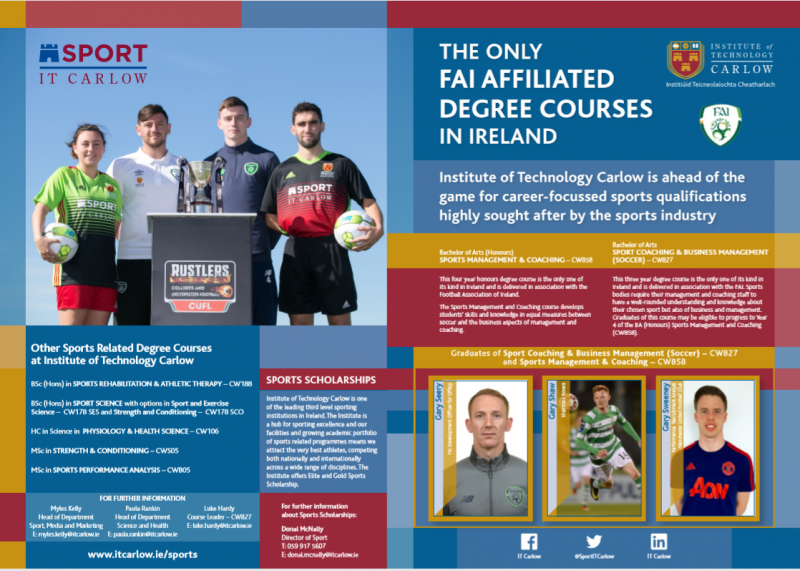 The course offers a wide range of areas of study including Player Development, Coach Education, Performance Analysis, Business and Sports Science.